Find Bernese Mountain dog names by the hundreds available for you to choose from when making a selection for your pal. Most of these naming ideas are unique and will help you to get your pal's undivided attention. The Bernese Mountain dog is an easygoing breed that is often steady-tempered. These pups love the outdoors and usually have a calmness and willingness to laze about. The breed love and crave companionship, especially, family interaction, which tends to make them has a little less independent nature than other working dogs. These beautiful, gentle canines are also very protective of their families and are known for being loyal, intelligent, affectionate and eager to please. Here are a few good selections of titles for you to choose from for your Bernese Mountain. Abigail: This cute choice would work well for a beautiful little female Bernese Mountain dog. Normally very protective of her surroundings and family, this dog has a keen eye to know what you dislike. This makes this selection a great pick for the Bernie that is easy to get along with. Charles: Calm but gregarious, this little male Bernese Mountain pup will have you wondering why he is so calm. But don’t be fooled by this as this dog is a little rascal in his own way and is just resting for his next adventure. Dreamer: Gentle, calm, and tolerant, Dreamer is the pooch that just sits and watches as people go by. This little pup loves to wander off to her favorite place when no one is looking. 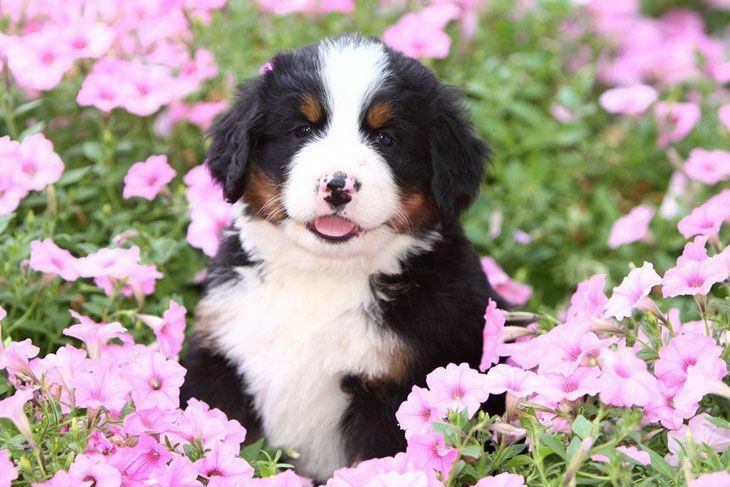 A good pick for the Bernese Mountain that loves to be in a serene surrounding. Ebony: This beautiful black coat girl will stand out because of her beauty. Always getting a lot of attention Ebony is great with the kids. A cute moniker for the pooch that is a little goofy when she plays with her family. Flora: As the title suggests this cute little pooch is always hanging by the garden. This Bernese Mountain has a desire for beauty and is happiest when she can participate in all family activities. A cool pick for the pooch that will dig holes to get to the cool earth, in your favorite flower bed. Sadie: Choose this Bernese Mountain dog name for the cute girl pup that will sit quiet at times and look pretty. Always paying close attention to the family movements, this pooch knows everything about her family. A cute choice for the watchdog that is not overly dominant. Sebastian: A good pick for the Bernese Mountain that can be a trouble maker when he wants to. This dog has an upbeat and magnetic temperament that sometimes causes him to go out and make mischief and returns like nothing went wrong. With a cute and adorable demeanor, this male will bring excitement into your life. 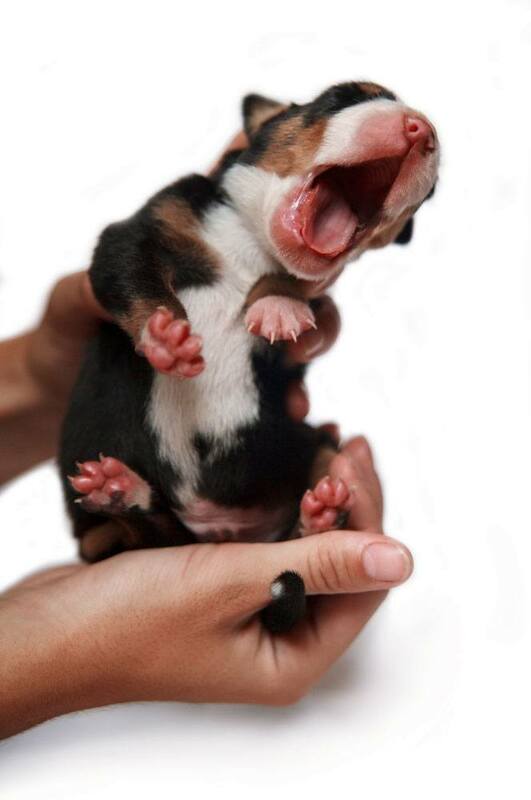 Twilight: Choose this Bernese Mountain dog name for the pup that has a sparkle in her eyes. This canine loves to be cuddle and will never leave your side. Twilight will be loved by the kids in the family and will play as long as she is entertained. The dog that remains puppyish for some time will love this pick. Thunder: This forceful boy Bernese Mountain dog will have you wondering what will he do next? This canine loves to be outside, as long as you are there with him. This makes this selection a great one for the Bernie that needs to be right in the thick of things.